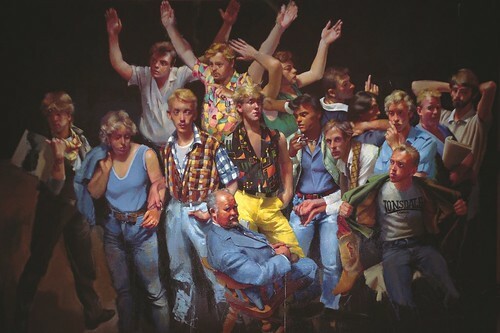 Mr Harrys – Robert Lenkiewicz -1983, a photo by Pride in Our Past on Flickr. Mr Harry’s was a famous gay club in Plymouth. Local artist Robert Lenkiewicz captured some of the regulars in this painting completed in 1983.